There is no reason to not state the sizes because I have given 5 ways to let us know sizes. This Kit is for the M12 and K301 and the suffix at the end of the K301 does not matter, such as K301A, K301S, K301 AS, 301 Q, K301 QS and so on. 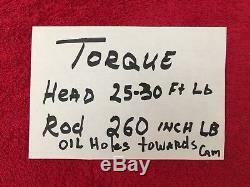 And rod 240 inch lb. 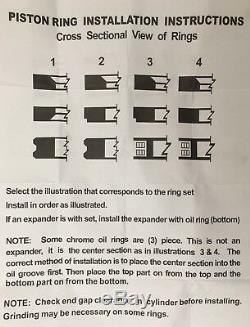 I will also give the instructions on how to properly install your connecting rod. 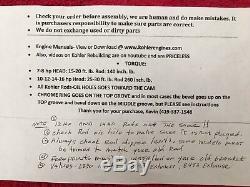 (oil hole goes towards the cam) The most common reason for premature engine failure on your rebuilt engine is an improper rod installation. This kit includes the following: (Just as seen in the picture). 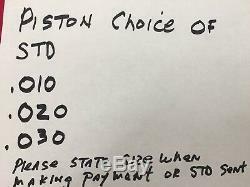 Piston, COMES IN: choice of Standard. 1- Connecting rodCONNECTING ROD COMES IN: choice of Standard and. 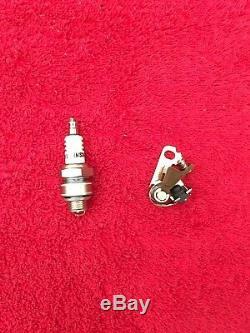 Wrist pin and 2 Clips. 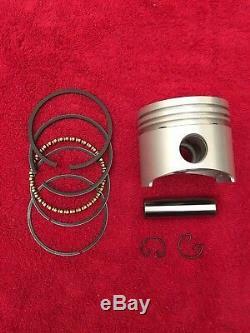 Please be sure to let me know what size piston and rod you want with your kit. 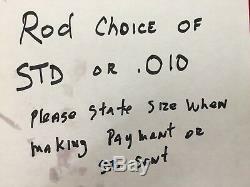 010.020.030 and Rod in choice of standard or. 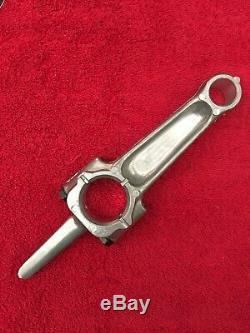 020 connecting rod in place of the std or. If you state you want a. 12hp K301 These measurements are not for the machine shop use. The machine shop MUST have the new piston before they can bore the cylinder. 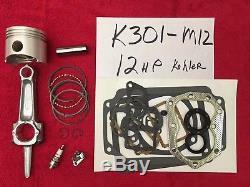 The item "Kohler K301 12HP ENGINE REBUILD KIT with FREE TUNE UP" is in sale since Wednesday, November 7, 2012. This item is in the category "Home & Garden\Yard, Garden & Outdoor Living\Lawn Mowers\Lawn Mower Parts & Accessories".